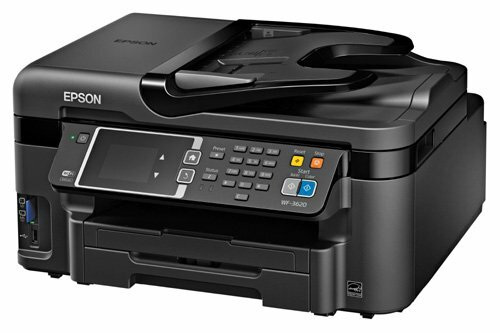 W e’re not fans of throwaway printers at PC & Tech Authority: rather than be lured in by the false promise of $100 inkjet multifunction printers (MFPs) that plague supermarket shelves, we think it’s better to invest in a high-quality printer with affordable ink cartridges. 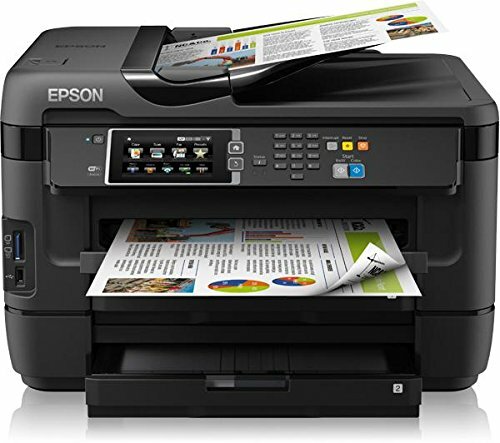 The Epson WorkForce WF-3620 is exactly such a printer. It’s equally well suited to a home oice as it is a demanding household, to support a mixed output of photos, letters and homework. Unusually for something we review – it’s been around for a couple of years. This is our first opportunity to test the WF-3620, though, and we were pleasantly surprised by what we saw. First, you’ll be immensely relieved to hear it includes a fax modem, because you just never know when the 1980s might get in touch. 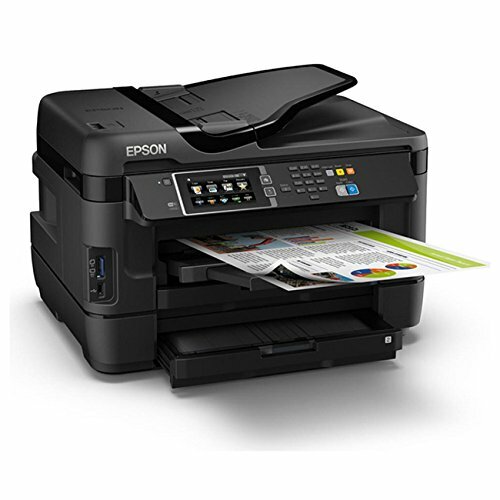 It’s also equipped with wired and wireless networking, plus duplex print, scan, copy and faxing. 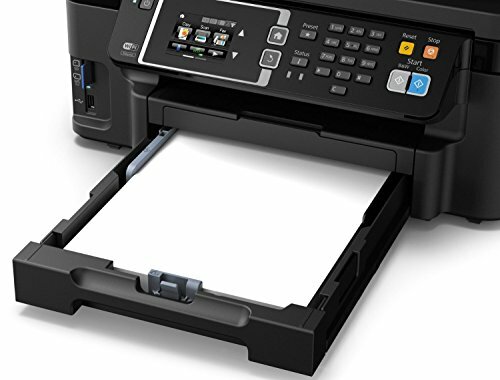 There’s a 35-sheet automatic document feeder (ADF), and USB, SD and Memory Stick slots, so you can scan to or print from an inserted device – the only obvious omission is direct PDF printing. 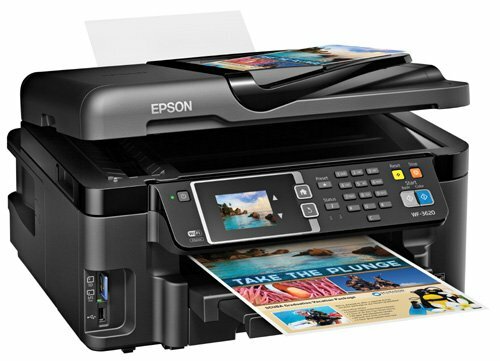 Epson claims a 20,000-page-permonth duty cycle, which is reflected in the sturdy 250-sheet input and 125-sheet output trays, while the scanner lid sits on beefy hinges that extend to cope with thicker books or stacks of documents. The design isn’t perfect, however: opening the WF-3620’s scanner lid flips open the dust cover on the single-sheet special media slot at the rear. unlike its predecessor, the WF-3620 supports multitasking, so you can scan a document while it’s busy printing or vice versa. I wouldn’t expect blistering speed at this price, but the WF-3620 is fairly quick. Tested over a wired network connection, it reached 17.4 pages per minute (ppm) when printing black text, and almost 5.4ppm on our far more complex color graphics test. Photographs aren’t this printer’s forte, though: it delivered one 6 x 4in print every two-and-a-half minutes, and quality isn’t up there with HP’s similarly priced OiceJet Pro 6960. Photocopies are quick: a single mono copy took 13 seconds, while using the ADF to copy ten pages took less than a minute and a half. In color, the equivalent tests took 17 seconds and two-and-a-half minutes. Scans were fast, too, with a 300 dots-per-inch (dpi) capture of an A4 sheet needing only nine seconds, and a 1,200dpi scan of a 6x4in photo taking 33 seconds. 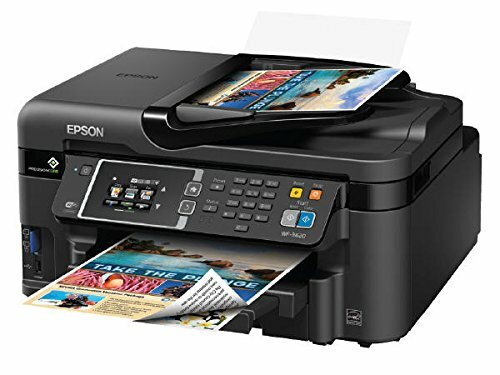 The quality of those scans is impressive, even by Epson’s high standards; the results are unusually sharp and display an excellent dynamic range. Prints and photocopies are also very good, if not perfect: colors lack saturation, and draft-quality text was very faint. The WF-3620 takes XL-rated colour inks, which last for 1,100 pages each, and an XXL black cartridge that’s rated for 3,400 pages. 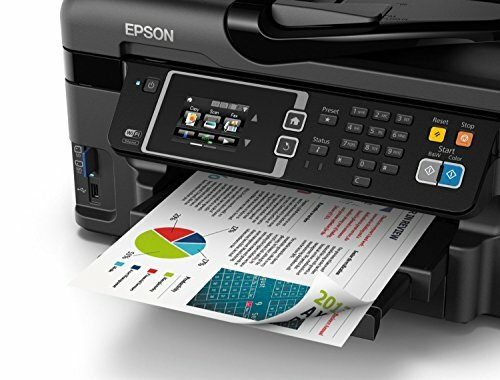 Epson has stopped estimating the page life of the additional maintenance box that catches waste ink in WorkForce printers, but based on earlier models it’s likely to be tens of thousands of pages, and costs less than $70 to replace. A-List as the best All-in-one machine.